The Freight Transport Association (FTA) has called upon the government to increase its level of investment in essential improvements for the M6. Indeed, a poll of FTA members has shown some of the most-congested sections of the English transport network, with respondents pinpointing the M6 north of Birmingham as being the top of the list. Overall, 39 per cent of respondents highlighted this area as being in need of attention to improve traffic flows and reduce delays, with sections of the M25 and M60 also ranking highly. Malcolm Bingham, head of road network management policy at the FTA, said: "Every motorist will have a view on where the worst spots are on our strategic network and these figures for our poll show that there is a split opinion. "It is therefore vital that we get the next programme of roads spending to address the concerns on congestion." Moreover, figures from the FTA showing that the costs associated with running a typical 44-tonne truck come to around £1 per minute; any hold-ups can therefore have a huge financial impact on operators. 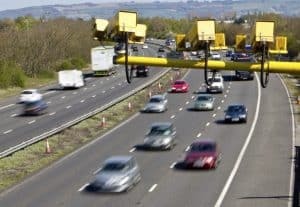 Natalie Brinkley, brand manager at Fuel Card Services, adds: "The M6 is one of the major trunk roads of England, connecting the north and south of the country. It's therefore essential that traffic flows freely, but for many travellers at present, this is simply not the case."